Skill point allocator for D&D 3.5. Is there a better alternative to Skills? Is Skills really the best app in Gaming Tools and Utilities category? Will Skills work good on macOS 10.13.4? 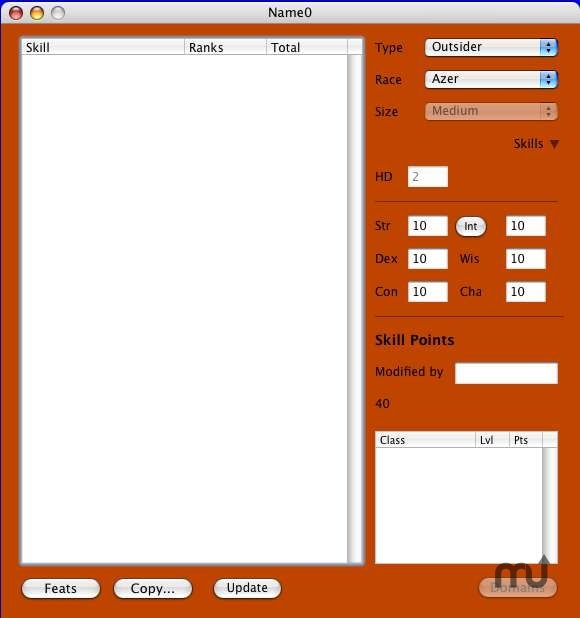 Skills is a D&D 3.5 skill point allocator application. Has support for non-humanoid races and non-core prestige classes. A text editor can allow you to add your own classes & races. Version 1.0.7: Removed registration stuff. It is now free. Skills needs a review. Be the first to review this app and get the discussion started! Skills needs a rating. Be the first to rate this app and get the discussion started!